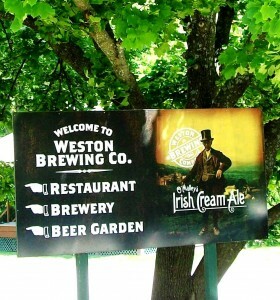 The Weston Irish Festival began in 2000 as a one-day event which drew an attendance of 1500 people. As the first act took the stage, on what had been a beautiful morning, the clouds rolled in and by the end of the day had dumped three inches of rain on the festival. In the true spirit of the Irish however, the audience stuck it out, the musicians did all they could by playing impromptu sets wherever there was a reasonably dry spot in between the rain showers, and everyone managed to still have a great time. The Weston Irish Festival opens it’s gates Friday, Saturday, and Sunday, at O’Malley’s Pub & Courtyard. Great Irish music, piping, dancing, and storytelling, along with traditional Irish food and drinks are what you’ll find at the three-day event. Please check the website at www.westonirish.com or call 816-640-5235 (Kansas City line) for more information.